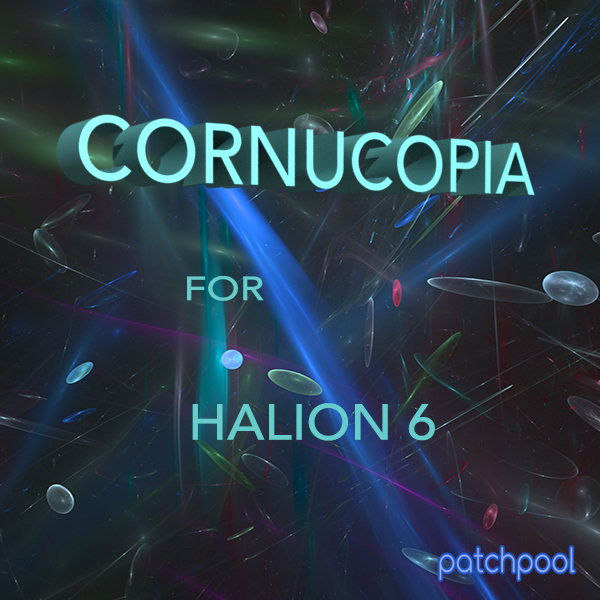 Cornucopia for HALion 6 provides a wealth of predominantly wavetable-based patches, all wavetables were be produced exclusively for this sound library by re-synthesizing dozens of samples from various acoustic instruments (string instruments, woodwinds, brass), vocals, percussion and electronic textures. The sounds focus on warm and moving pads, dark and epic drones, digital hybrids, animated sequences, profound bass and pluck sounds, cinematic textures and soundscapes, crispy mallets and obscure sound effects. Some patches also layer the wavetable synth with Halion's granular and/or sampling engine, some patches also make use of Halion's analog synth, a few patches only use the granular and/or sampling oscillators. All presets have a designed Macro interface with a background image, more complex modulation routings are sometimes also assigned to the eight Quick Controls at the bottom of the main interface and the modulation wheel, quite a few presets also make use of aftertouch. 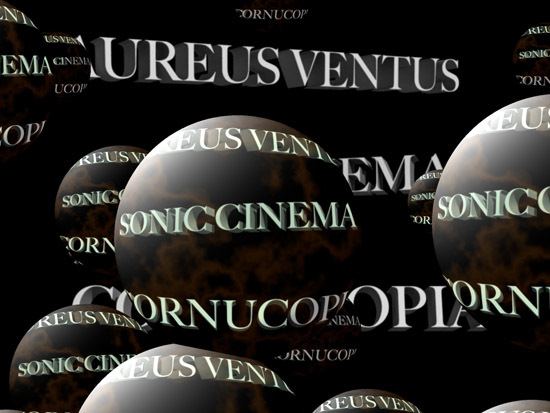 The wav-samples in Cornucopia are a mixture of field recordings, soprano sax tones and phrases, a huge gong recorded open air in a garden, tubular chimes (also recorded in that garden), electronic soundscapes, multi-sampled synth sounds and experimental electronic textures. All wavetables are embedded in the preset files, yet an additional folder with all wavetables used in Cornucopia (plus some extra ones) is installed with the library, so that the user can easily create new patches using these wavetables. You can view/download the PDF for this soundlibrary including the license agreement, more relevant info and a detalled patchlist here. 155 wavetables (153.1 MB, automatically installed with the library). (67 wavs / 48 Khz / 24 Bit / stereo). Delivery: download (compressed RAR-archive, download size: 768.5 MB). The full version of HALion 6 is required to play the patches from this library. Please note: With the current release version of HALion 6, all tempo-synced envelopes programmed for this library play out of sync with the DAW and other HALion modulators (step modulator/LFOs). This is a known issue and will be fixed with the first maintenance update of HALion (version 6.0.1), to be released very soon. Please allow me a few hours to manually process your order and send you the pre-order confirmation. 103 patches deeply exploring the Halion wavetable synth. 770 MB of original samples. 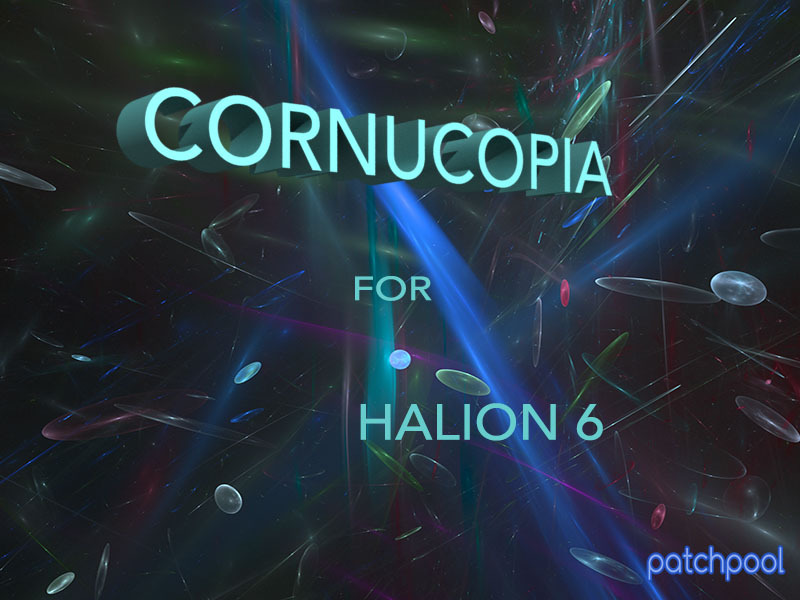 All demos were produced entirely with HALion 6 using only patches from Cornucopia, no post-processing was applied apart from a limiter on the outputs and some volume automation, if several instances of HALion were used in a track. Here are some videos using sounds from Cornucopia and other wavetable experiments which led to the creation of this sound libray. There is also a tutorial for the wavetable synth towards the bottom of the list. ...really loved the work you did on these presets. They're absolutely stunning. - HALionist from the US via e-mail. - HALionist from the US on KVR. Please note: the full version of HALion 6 is required to play the patches from this library. Please allow me a few hours to process your order and send you the pre-order confirmation.